Maxillofacial prosthesis is a relatively new, but possibly fastest growing branch of dentistry in recent times. It has become essential to thousands of people who had to lead a life of broken self-esteem and with the feeling of being shunned or deemed unattractive because of some distorted facial features. As in a clinical process, maxillofacial prosthesis is the rehabilitation of patients with defects or disabilities which they were either born with, or developed because of a disease or being subjected to a trauma. This may lead to the patient feeling crippled and having problems in doing some daily and essential functions like speaking properly. 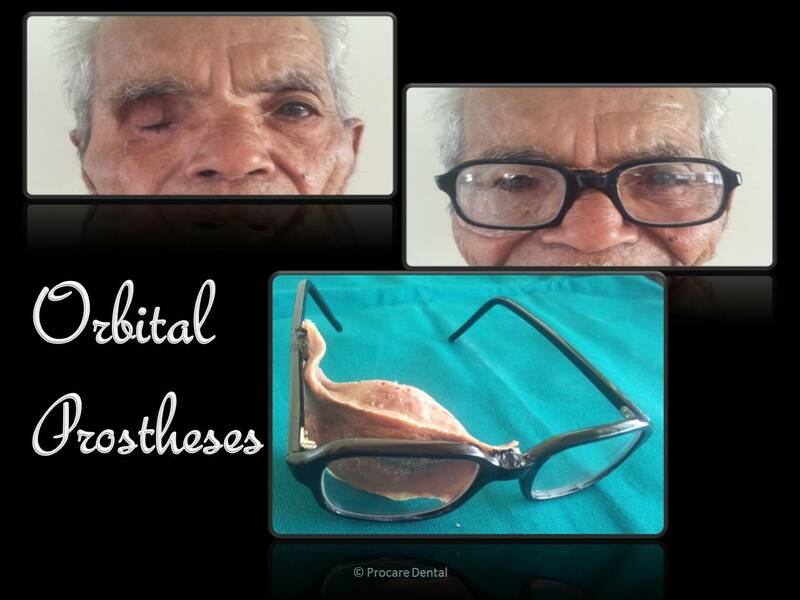 Prosthesis thus may be useful for the patients both for physical and psychological reasons. This process would help affected patients regain their sense of confidence and thus lead a much better and normalised life. Most dental clinics in Mumbai offer the availability of maxillofacial prosthesis, and patients in need are urged to immediately ask for this procedure. Prostheses in dental clinics in Mumbai are used mostly to replace missing areas of bone or tissue in the facial region, as well as correct and restore oral functions like swallowing, speech or chewing which might have been hampered because of the missing tissues. Patients may opt for maxillofacial prosthesis because of psycho-social reasons as well, this includes correcting the structural defects of the palate or any part of the oral correction regime aimed at restoring proper speech, curing cleft palate, or any other trauma caused damage to the tissue in this region. Prosthetic devices are used in dental clinics in Mumbai as a means to provide positioning or shielding to facial structures during potentially dangerous circumstances like radiation therapy. This is essential because the soft tissues in your facial region may be adversely affected by the harmful radiations and lead to further degeneration and damage. Maxillofacial prosthesis acts as the cure for many problems at once, which is a huge factor behind its prominence as an all round medical procedures for oral health. Maxillofacial prosthesis for example, is also used by dental clinics in Mulund for people who are need of prosthetic care due to suffering from some kind of neuro-muscular diseases like ALS or a stroke. Sometimes these problems can be present in a child right from birth due to wrongly formed or underdeveloped facial tissues. Some of these problems include cleft palate, missing or unformed teeth or tissue, or any kind of situation which would require specific medical care. Maxillofacial prosthodontists in dental clinics in Mulund are experts in the process of curing and restoring the removed or damaged tissue and bones of their patients, and work in accordance to a large team of supporting doctors like ENT’s, neurologists, speech pathologists, anaplastologists, and others who might be needed for any kind of follow up based work. Maxillofacial prosthodontists in dental clinics in Mulund also perform corrective surgeries like altering palate for enabling speech in case of palate damage, and replacing portions of the jaw that might have been lost, and restoring gums and teeth. Maxillofacial prosthesis thus, aims at making lives better for all patients, by giving them a perfect smile as well as renewed self confidence and happiness.